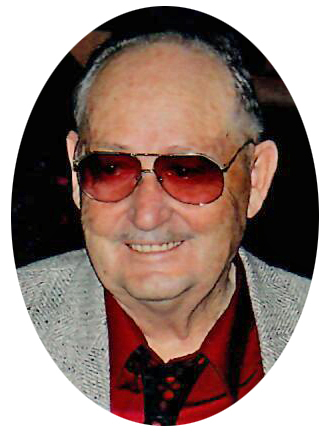 It is with extreme sadness that the family of William “Bill” George McKaig announces his passing at the age of 86 years. He was a courageous man who was challenged by cancer for several years but with the support of his loving partner, gave it his “all” and had some memorable years. Bill was born on May 27, 1931 in Tuberose, SK, the youngest of four children to Maude (nee Langston) and William D. McKaig. When he was eight years old, the family moved from the farm to Kyle, SK. Bill also had half- brothers and half-sisters from his mother's first marriage. He said that he thought Isabel White (his half-sister) was his mother because she literally raised him. His mother had several health issues and had some absences from the home. Bill left school early to help with the expenses. He began working for the RM of Lacadena No. 228 at an early age. Bill was an extremely hard worker and was very proud of his contribution with the RM – and so many stories – like the time he met Bob Hope (the actor and comedian). He met several famous people over the years when they would come up from the States for goose hunting. The highlight of his RM career happened in 1964 when the road workers unearthed the bones of a woolly mammoth during road construction. Later on, the bones were determined to be about 12,000 years old. Bill met Mary “Molly” Goldie at a young age while playing hockey in Milden. They fell in love and were married in November of 1952. They enjoyed years of close friendships and get-togethers, some of which were with Pat and Cliff Head, Jack and Mary Rebman, Joyce and Benny Smith and Melvin and Evelyn Christensen. Molly worked as an RN at the hospital and was loved in her profession. Bill built their home by bringing in a single building (a granary) and building onto it. Over the years, Bill and Molly had a beautiful home – Bill with his amazing carpentry skills and finishing work and Molly with her homemaking skills – a fantastic cook, baker and seamstress, she could sew, knit, crochet and so much more. Molly and Bill had two children – Gwenda Noreen born in 1953 and Bradford Leigh born in 1957. Bill’s family was his first priority. He spent his free time building items for his kids. He built Gwenda a playhouse when she was little (her home away from home). It was the envy of her friends. She was creative with her play, one week it was a store, another time it was a school room, a hair salon and many other venues. Gwenda had a neighbour girl, Nancy Jacobsen at her beck and call for being a clientele, student, etc. Bill was a great father to Brad, being involved in his activities such as hockey. When Bill had a day off from work (usually when it rained), he took the family to Swift Current. Wong’s Kitchen became a favorite stop beginning in the 60’s and continues today. The family took trips to Clearwater Lake, the Clearwater Lake Drive-In and Saskatchewan Landing. Berry picking at the Landing was a yearly thing to do. In spite of all his hard work and family obligations, Bill managed to make time for his favourite activities. He loved to go golfing and was a member of the Kyle Golf Club. He was on the Recreation Board and had a love of baseball. In later years, he was so proud to hear about the baseball activities of his nephews. He often spoke of Phil’s son, PJ’s baseball accomplishments. He spoke of Terry McKaig’s involvement also. He often went to the Pool Hall in the evening for a game of pool; Harry Roman worked there then. Bill was a United Church member from 1939 on and was on the church board for some time. He also gave of his time when he was on the school board. After Bill retired from the RM, he worked in maintenance at the Kyle Hospital. He farmed some land left to him from his father. He eventually sold that land but continued to help out some friends with their farming. Bill’s favourite passion was his music. He was a self-taught musician playing accordion, banjo and guitar. He played his guitar up until the last couple of weeks of his life. He shared his talent by playing with local bands for New Year’s bashes and other special occasions. He enjoyed jamming with his neighbour, Bob Glover and playing guitar with his closest friend, Don Moore, until Don’s passing in 2007. Together they played at functions and entertained the residents of the Kyle Health Centre. Bill was very proud to be a teacher and mentor for Bryce Lewis. A newspaper clipping about Bryce hangs on the wall in Bill’s music room. Bill loved all of the family get-togethers with Gwenda, Wayne and his three grandchildren, Michael, Melissa and Jeremy, and Brad and his wife Rita. Bill and Molly went on several trips with Brad and Rita and they had lots of stories to tell. Bill always loved the special time with his grandchildren especially the sleepovers. He had a lot of special memories. One memory he shared regularly was when Melissa was very young, she loved the Jacuzzi. She always insisted that Grandpa light the fireplace so that she could wrap herself in a towel and sit on the hearth afterwards. Bill was blessed with five great-grandchildren that he adored. Each of their individual personalities brought a smile to his face. He loved their visits and energy. Of all of his activities, outside of family, he loved his very own yard. Bill had one of the greenest lawns in town. Beautiful flowers always graced his yard. A wonderful windmill that Bill built stands proudly in his yard. Bill loved caring for his yard and visiting with friends on his deck. Watching the hummingbirds that always seemed to show up at rodeo weekend brought him joy. Bill loved watching the birds that came into his yard and to his feeders; his bird books were always within reach. Bill and Molly lived next door to his parents and until their passing he was involved in their life, always checking in on and helping them. Bill and Molly were always available to them. Bill always said that his father was an inspiration to him. Bill became an inspiration for his family when Molly developed Alzheimer’s Disease in the late 90’s. He cared for her at home until she moved into the Kyle Health Centre in 1999. For six years, Bill never missed a day of going to see her. Bill and Don Moore often entertained the residents with their music. After Molly passed away, Bill resumed a high school relationship he had had with Dorothy Lytle. Dorothy’s husband had passed away years earlier. It was divine timing. They were perfect together. They had a lot in common – the love of their yard and the beautiful flowers, Blue Jays games on the TV and other sports. They loved and respected each other and were brought together by God so that they could be love and support for each other when each of them lost an adult child. Dorothy’s daughter Karen died from cancer and Bill’s only son, Brad also succumbed to cancer. Bill’s family is very grateful that he had such wonderful companionship during his last years. Bill is survived by his partner Dorothy Lytle of 13 years, his daughter Gwenda of Rosetown, his daughter-in-law Rita McKaig of Saskatoon, his grandchildren Melissa Sather (Bryan) of Saskatoon, Michael Moreside of Rosetown and Jeremy Moreside of Saskatoon, five great-grandchildren Bailey, Carson, Brooke, Isla and Everly as well as Dorothy’s family. Bill was predeceased by his loving wife Molly of 53 years in 2005 and his son Bradford Leigh in 2010, his parents William Donald and Maude McKaig, brother Maurice, sister Violet, brother Donald, half-sisters May Kacor, Isabel White, Gladys and Rose Rogers and half-brothers Lawrence, Robert, Gerald and Gordon Rogers. Bill’s family would like to express their sincere gratitude to the staff of the Kyle Health Centre as well as those who cared for and gave loving attention to Bill at the Rosetown Hospital and Royal University Hospital. Thanks to STARS Ambulance for their prompt transport to Saskatoon. Thanks also to the many friends and family who came to the Health Centre to support Bill and his family the last five days. A Memorial Luncheon was held on Thursday, August 16, 2018 at 12:00 p.m. at the Kyle United Church. A private family interment followed at the Clearwater Cemetery. For those wishing, donations to the Kyle District Healthcare Foundation Inc., P.O. Box 153, Kyle, SK, S0L 1T0 would be greatly appreciated.